Your employees’ health and safety at work is paramount. Regardless of the type of application, CO2, oxygen (O2), and toxic fumes from industrial products can affect the health and safety of everyone in confined or open areas. 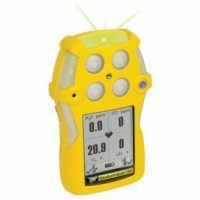 Make sure to check the dangers coming from storage areas or warehouses using Detekta Solution gas detectors to promote not only safety, but also the performance of your business.